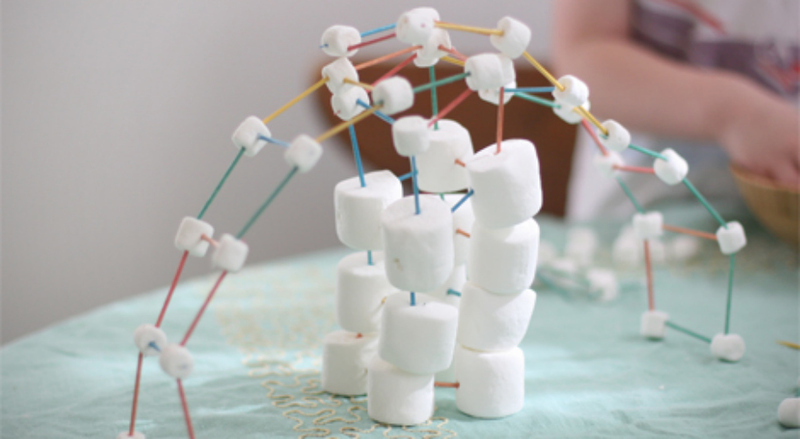 This month's project is "Marshmallow Towers". Build a tower (or any other structure!) using mini marshmallows and toothpicks. This project is free, but donations are welcome. This is a drop-in program with no pre-registration required. Photo courtesy of Say Yes.